Professional magician available for weddings, parties and events in Whitstable, Sittingbourne, Canterbury, Maidstone, Margate, Gillingham, Ramsgate and the rest of Kent. Personalise your Kent wedding or birthday party! Powerful and indulging close up magic to entertain and consolidate! Trickster Andy specialises in visual eye popping money magic! Imagine how magic like this will enhance your event. Card and Bottle Illusion. Hire Andy and let your Kent wedding party experience the absolute impossible. 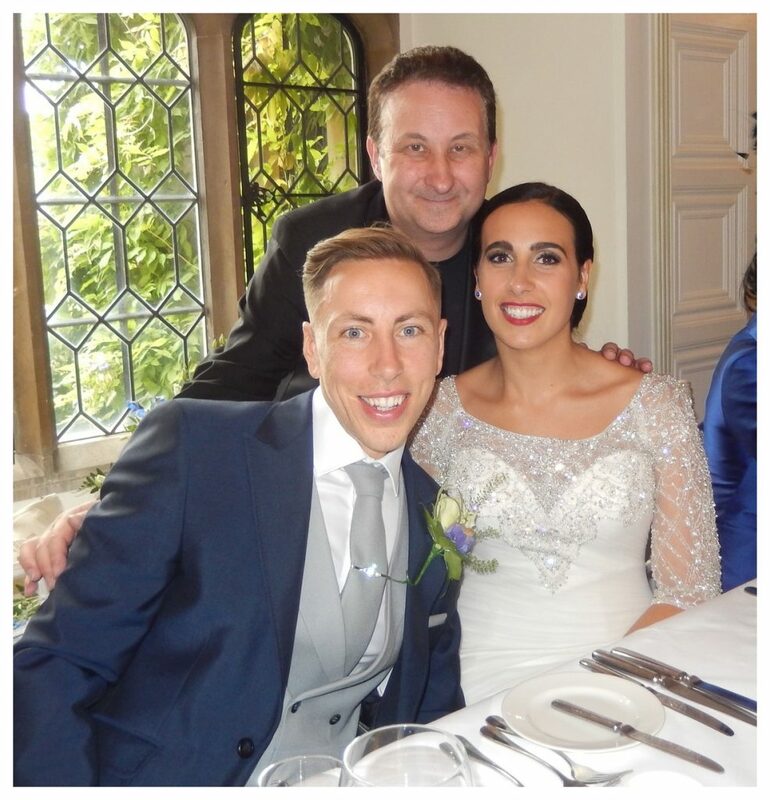 Wedding magician Andy Field will wow your Kent guest! This is the number one reason magician Andy performs magic at weddings! He wants nothing more than to amaze your Kent wedding guests and fuse them together even stronger for your special day! Make your wedding day unforgettable by giving them V.I.P. treatment with Andy’s close up magic! Bring your Kent drinks receptions, photo calls and wedding breakfast alive with a strong atmospheric energy. Feel the magic light up the room as your guests laugh, clap and enjoy Andy’s wedding walk about magic! Andy’s sleight of hand is also available for weddings around Maidstone and Whiststable. Strong magic combined with an amiable personality make Andy an approved Kent birthday party magician! As a former S.A.M.S. 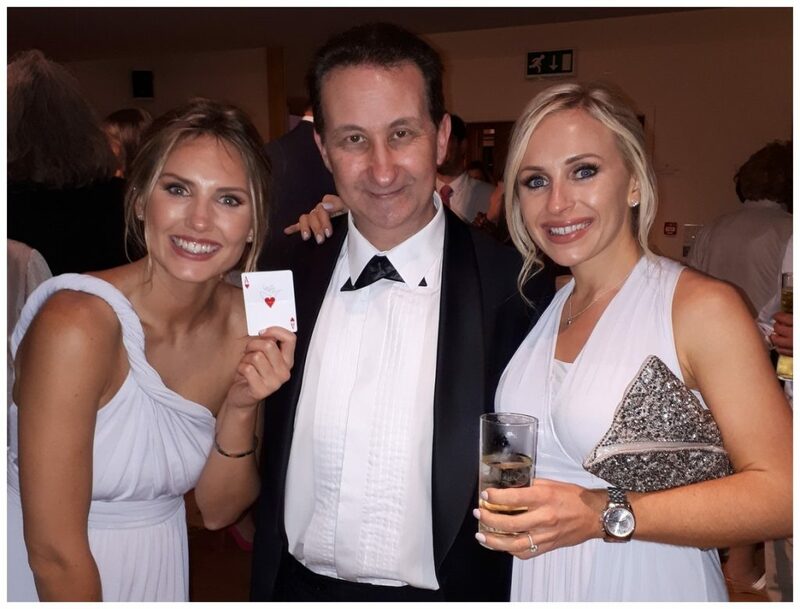 Sleight of Hand Magic Champion illusionist Andy has all the skills, experience and expertise required to pack a punch at your wedding or birthday party. Everything that you could need from a birthday party magician plus a little extra! He has performed in and around Kent, Maidstone and Whitstable on many occasions. Common consent from his online reviews say that his sleight of hand magic is fresh, upbeat, modern and totally unreal! To say nothing of his five million YouTube views and many years of experience. Be reassured magician Andy will supply your Kent wedding or party with outstanding dexterous finger-tip magic! Reviews for any business are essential these days. It is important to give a client confidence when they are seeking a product. For a wedding or anniversary party event it is twice as important! Magician Andy’s Facebook reviews from all over the UK as well as from clients based in Kent.  Andy’s magic has been described as professional, slick, and exceptional. His presentations have been reviewed and witty, engaging and profoundly entertaining. During the last twelve months his Facebook page has been reviewed over one hundred and ten times. Kent close up magician Andy Field has a bag of perfect party tricks up his sleeve to entertain with! 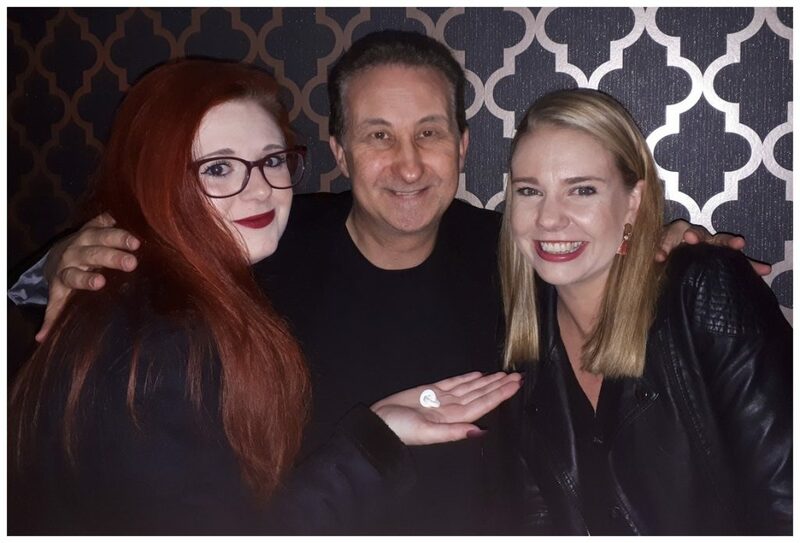 The more skilfully a magician’s illusions are executed and the more entertaining they are presented then the more of a powerful impact they will have upon your guests. This ultimately means the more your relatives and friends will enjoy your Kent wedding or birthday party even more! Creating a wonderful magical atmosphere will allow your VIP guests to relax and unwind and make your event never to be forgotten. Andy has twice been a S.A.M.S. Champion of Table Top Magic. This is the same as walk around magic but just presented using a table. Kent Magician Andy has many years of experience as a professional wedding and party magician. Many of his illusions are original and bespoke. He does not miss a trick! Conjurer Andy is professional, competent, reliable and extremely good at interacting and socialising with people. He has a calming and friendly aura which will make your wedding or party guests feel warm and welcome. He completely playful too! One important consideration when hiring Andy is that you are not paying for his travel or the length of his performance. These are minimal and not relevant. You are paying for his skill, expertise and showmanship qualities. Then there additional service advantages such as his knowledge, advise, reliability, experience and professionalism. A great magician is not cheap, but a cheap magician is not great! Contact them here. Lisa or Andy will be extremely pleased to help you with your event enquiry. 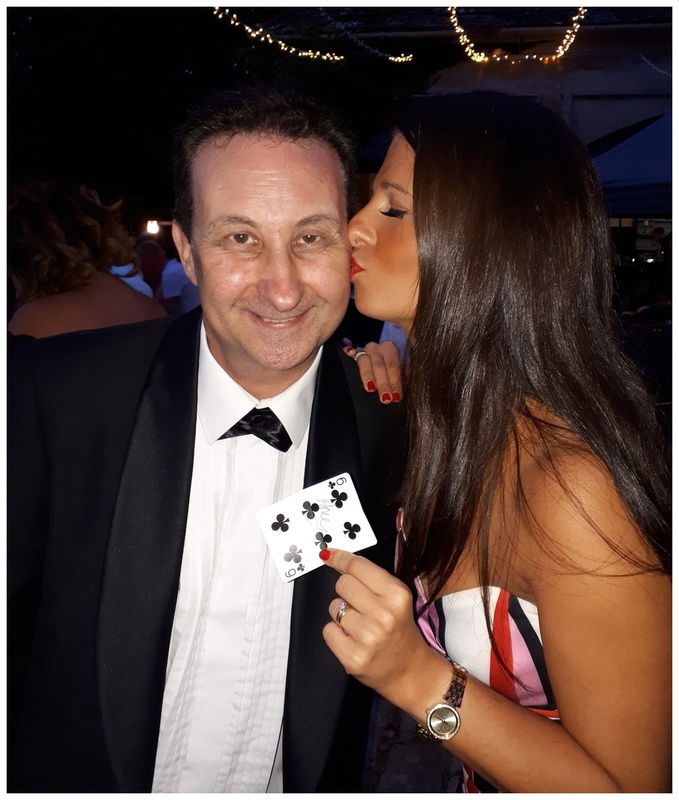 Andy’s close up magic will work beautifully with your Kent corporate night. Your important business contacts, work colleagues or friends will experience unexplainable mind reading and mentalism. Table top illusions and nimble-fingered close up magic using money, playing cards and even Polo mints! Andy will use anything and everything to conjure with! The audience will be right next to Andy. Physically close enough to touch him yet untouchable to mentally figure out! Interactive and beautifully presented sleight of hand that will draw much applause and create a lot of discussion to try and figure out! This is magic that is right up close to the spectators when performed. They are virtually within an arm -reach of the magic! This is an extremely popular branch of the craft of magic for this very reason. The magic is so close that it can even happen in the spectators hands! Kent wedding magician Andy creates much of his own magic illusions. He uses very familiar items such as coins, bills, phones and borrowed rings. Andy is going to perform for your friends and relatives and knock their socks off! This is certain! However, because he is so flexible he can entertain at any juncture of your Kent wedding or anniversary party. You may need an “Ice Breaker” at the start of your anniversary party to stimulate conversations. How about during your drinks reception at your wedding? Amid the room changes or perhaps in between the food servings during the wedding breakfast are other very popular performance slots. Keep the energy high during your Kent wedding or VIP party and your event will be the success you want it to be. Quality over quantity; Andy cares greatly for your Kent event. He will use his experience to judge how long to perform for each group of people he visits. Seated or standing he will visit them and perform an excellent interlude of magic for them pitched for just the right amount of time. Blow their minds and then move along to the next group! Generally give or take around one hundred minutes will suffice for most weddings and Kent birthday party events. A terrific crowd pleaser! Strong magic that is beautifully presented to entertain. All at a competitive rate. What more could you ask for? To present close up magic remarkably well and have people want to listen and watch is a required skill all in itself. Andy’s Facebook reviews reflect upon him being warm, cordial and gregarious. 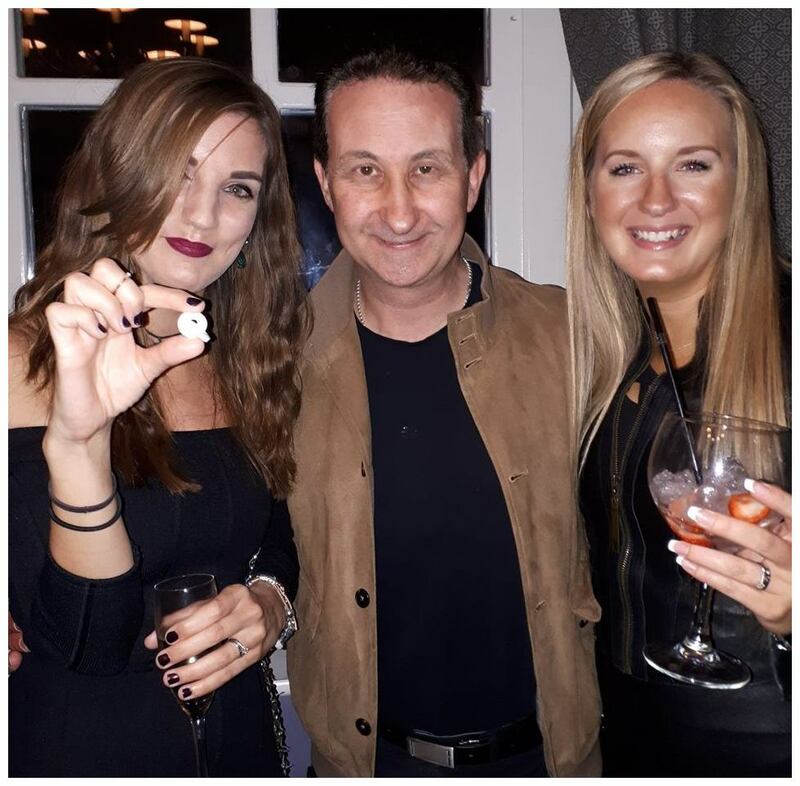 Kent magician Andy has spent many years perfecting all aspects of his act and this is very apparent when you watch him perform. Your Kent guests will find Andy relaxing and friendly and will find themselves opening up to him. Their time with him will be emotionally rewarding and well spent. Hiring magician Andy for your Kent wedding or your VIP corporate event will be rewarded many times over. If you have no atmosphere then you have no party. However, if you have a great atmosphere then the rest is history! Have you ever considered that it would be like to actually take the plunge and learn sleight of hand? If this is something you have considered doing for a long time then check out Andy’s tuition page for more details.